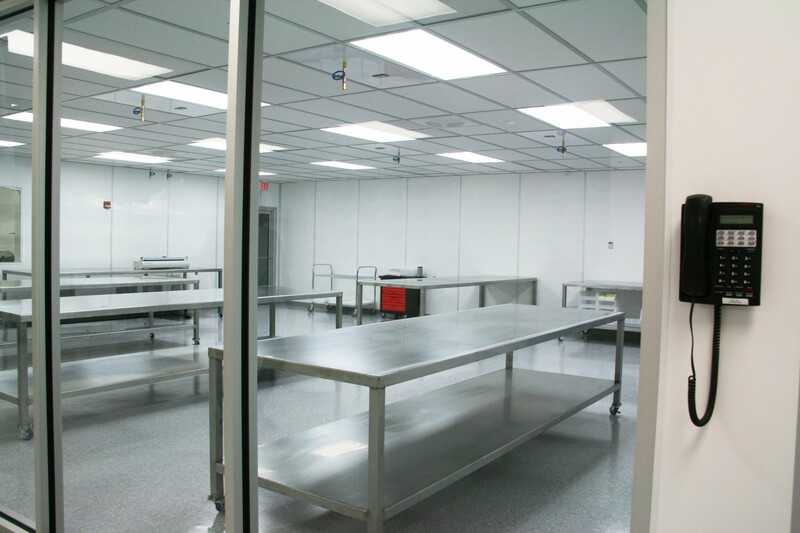 Design and build out of 2,400sf of ISO 7 and 8 Cleanroom for single use pharmaceutical technology components for biopharma, food processing, and microelectronic. Including design, the overall project timeline was 4 months. NESLO Walls with 1 1/2’’ gordon grid, and HEPA Filters. HCC self performed the walls and ceiling. Design included the use of the existing HVAC system as a value engineered option to keep down costs.